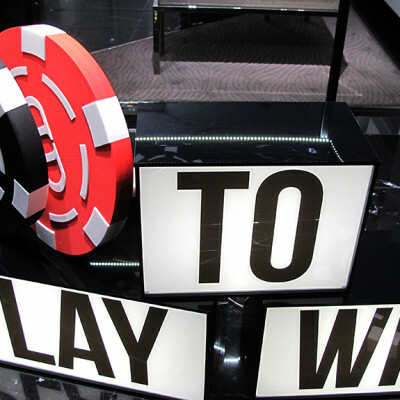 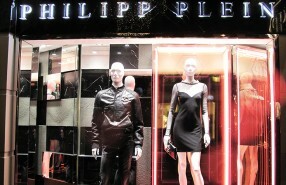 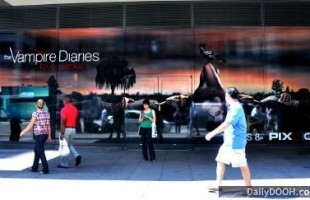 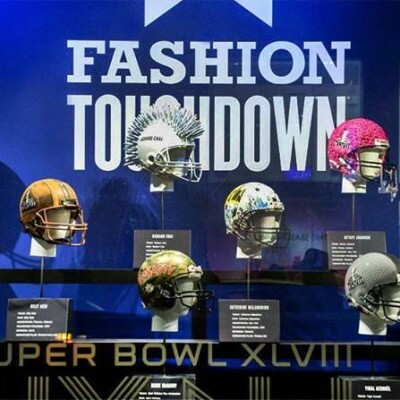 Philipp Plein Summer window display is decorated with a big ‘Army Heart’. 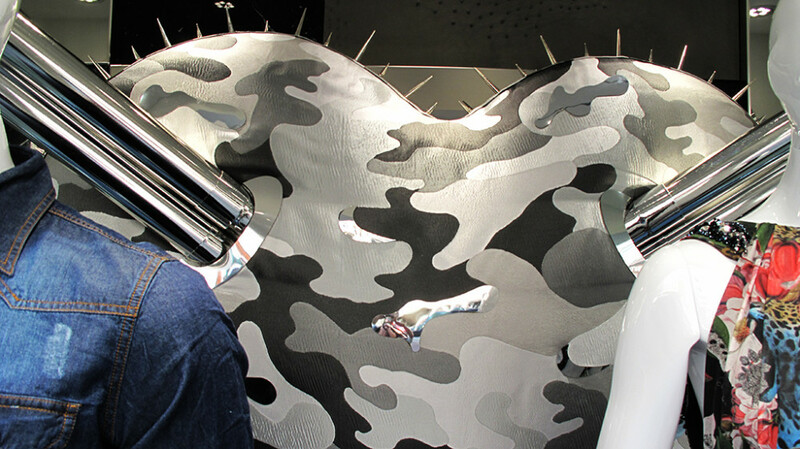 The grey heart is growing spikes and tubes are coming out what probably is about the bulletproof Spring/Summer 2013 Philipp Plein collection. 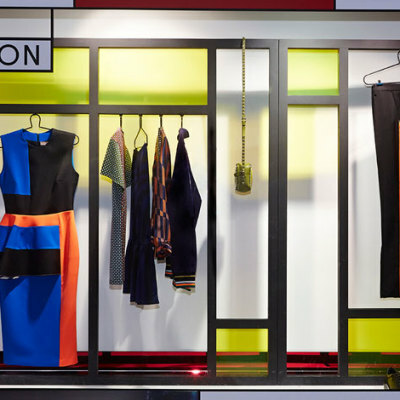 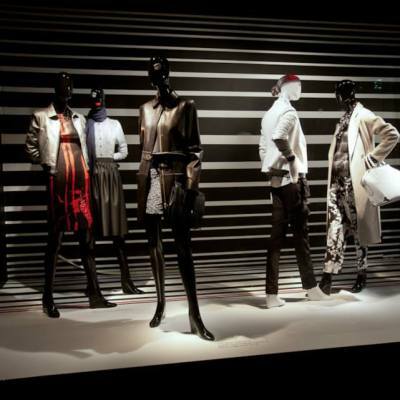 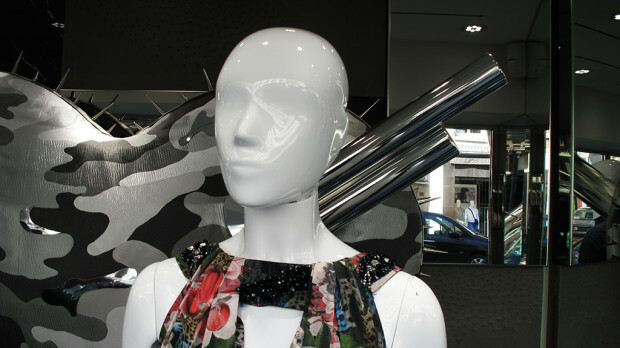 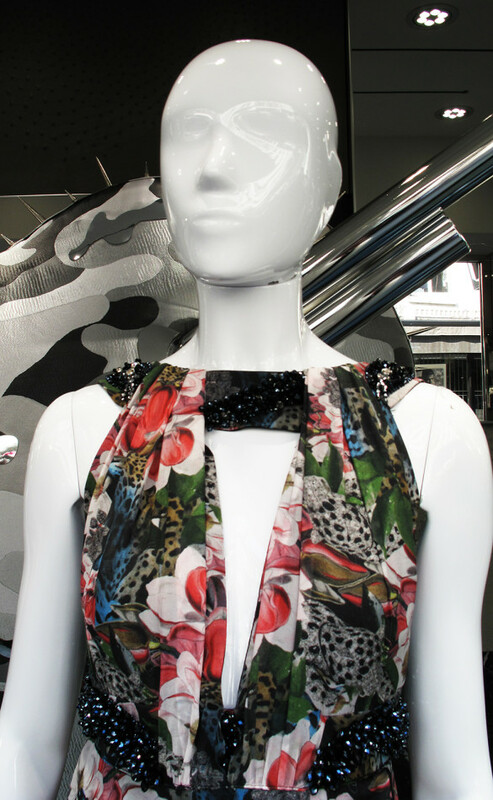 The female mannequin is wearing the evening glamour dress of Philipp Plein Couture. 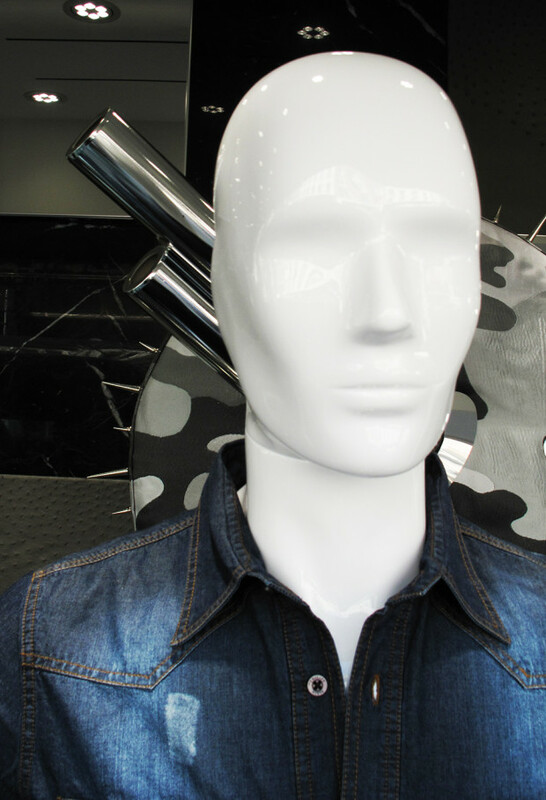 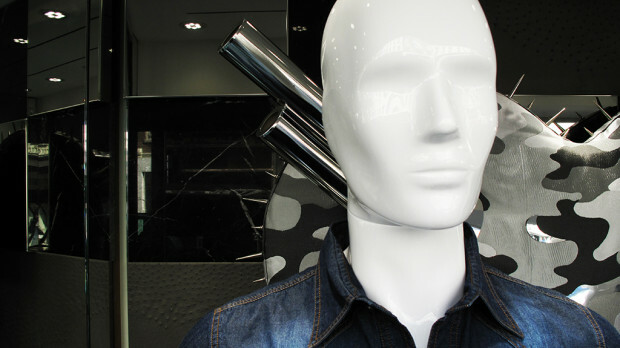 The male mannequin is wearing the slim denim shirt “vintage” of Philipp Plein Homme. 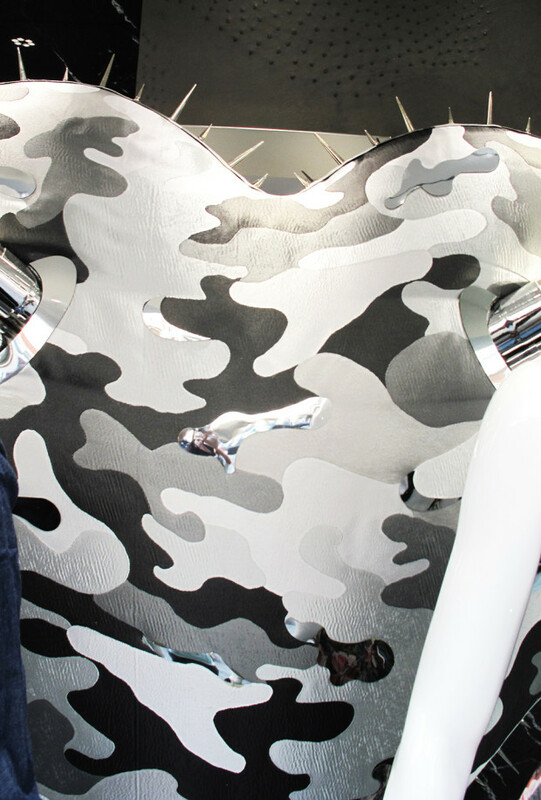 What also good to know is that the grey army print is coming back in the Spring/Summer 2014 Philipp Plein Male collection.